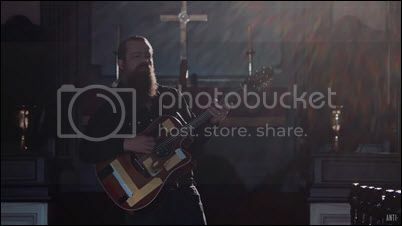 SEAN ROWE shared a vdeo for "To Leave Something Behind." ANGEL OLSEN stopped by WFUV's Studio A for a chat and mini-set. MIKE DOUGHTY also stopped by WFUV's Studio A for a chat and mini-set. BLUE RODEO stopped by World Cafe. BILLIE MARTEN covers "White Christmas." 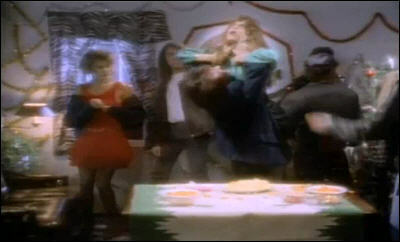 BOB GELDOF, by his own admission, is responsible for two of the worst songs in history: "'Do They Know It's Christmas?" 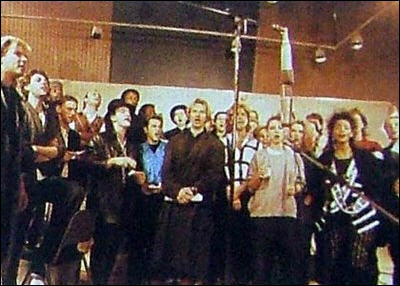 and "We Are The World." QUEEN's Brian May got the UN to worry about the asteroid threat. IN MEMORIAM: Bands that split in 2016, courtesy of Stereogum. AQUARIUM DUNKARD's 2016 Year In Review. THE GOLDEN GLOBES nominations went to these folks. Congrats! THE CRITICS' CHOICE AWARDS went to these folks. Congrats! Also, Ryan Reynolds gave a great accepatance speech. CHRIS EVANS is once again the best actor for the buck, according to the latest Forbes List. SUSAN OLSEN, a/k/a Cindy Brady got fired from her hosting gig on a Los Angeles-based radio show after she posted a homophobic rant on Facebook. ROGUE ONE released a featurette on K-2SO. THE LEGO BATMAN MOVIE dropped an extended TV spot that features a number of villains. OUT: Pizza Rat. IN: Dinner Roll Rat. THE SQUIRREL THREAT: A red squirrel with exceptionally large hips was rescued after its lower half was trapped in a manhole cover. CHIMPS can recognize each other from behind. FLYING TURKEYS cause power outages in east Medford. A special report from Les Nessman. 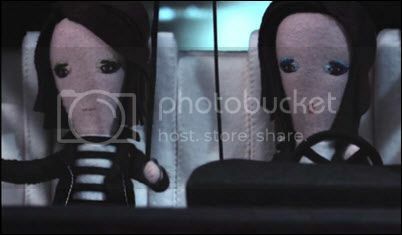 TEGAN & SARA dolls are "Dying to Know" in a new video. SHONEN KNIFE stopped by World Cafe for a chat and mini-set. SAINTSENECA streams a surprise EP, The Mallwalker. TWO DOOR CINEMA CLUB stopped by Morning Becomes Eclectic for a session. 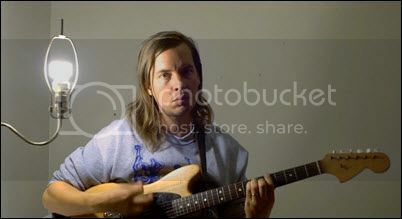 SAM PATCH, a/k/a Arcade Fire's Tim Kingsbury, shares “St. Sebastian." BOB DYLAN's Nobel Prize Acceptance Statement. ROBBIE ROBERTSON talks about his memoir at Salon. SON VOLT's Jay Farrar talks about the band's upcoming album with Garden and Gun. THE BEST ALBUMS of 2016, according to Bandcamp. 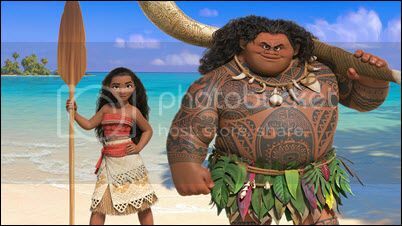 WEEKEND BOX OFFICE: Moana three-peated atop the chart with 18.9MM, a last hurrah before Rogue One shows up and stops evertything like an AT-AT. It was still a leggy 33 percent drop for Disney, and it will be interesting to see whether it gets caught between Rogue One and Sing. Office Christmas Party placed close behind with 17.5MM, a little over studio estimates and a little under some gurus' projections. Fantastic Beasts and Where To Find Them showed with a strong 10.8MM and has a worldwide gross closing in on 700MM. Arrival takes the fourth slot with 5.6MM on a leggy 23 percent drop; it's closing in on breakeven worldwide, which gives one hope for smart sci-fi. Doctor Strange rounds out the Top Five with 4.6MM and looks just as strong as the Beasts after six weekends. WAR FOR THE PLANET OF THE APES has a trailer online. FATE OF THE FURIOUS has a trailer online. MATTHEW LEWIS, a/k/a Neville Longbotton, is engaged. DEADPOOL 2: Tim Miller explains why he left the sequel. BRAAAM! 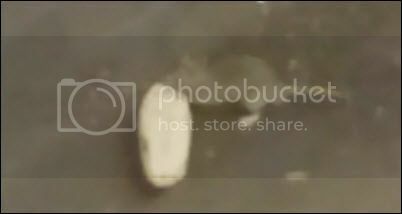 : The Sound that Invaded the Hollywood Soundtrack. NIGERIA: Two suicide bombers, seven and eight years old, injured 17 people in a market. A DOG says goodbye to her human for the last time. CATS and HUMANS: A Strange and Complicated History. A SECOND JAGUAR has been caught on camera in Arizona. GIRAFFES are on a path to extinction. 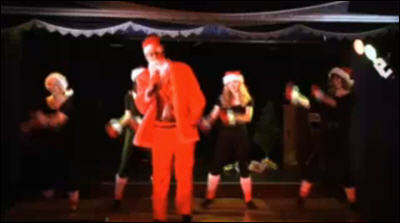 ...with A CHRISTMAS SHINDIG! 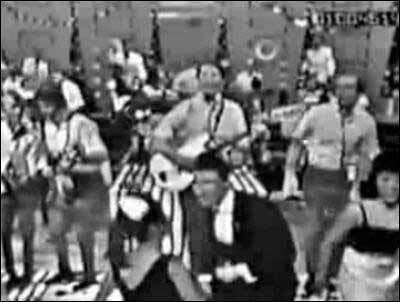 The full episode has gone dark, but still-available clips from 1964 include The Beach Boys' "Dance, Dance, Dance," Bobby Sherman and Donna Loren singing "Keep on Searching," the Righteous Brothers doing "The Jerk" and an awesome milk commercial, Adam Faith with "Watch Your Step," and "Santa Claus Is Back In Town", Bobby Sherman with "Sleigh Ride," Donna Loren returning with a Spector-esque, but rougher "Santa Claus is Coming to Town," and The Beach Boys deliver a set including "Little Saint Nick," "Monster Mash" (yes, really) "Papa Oom Mow Mow," "Johnny B. Goode," and "We Three Kings." LUCINDA WILLIAMS plays a mini-set at Lincoln Center. BAT FOR LASHES played the Pitchfork Music Festival Paris. SOUTHERN CULTURE ON THE SKIDS stopped by World Cafe. THE JESUS AND MARY CHAIN shares "Amputation," their first new song in eight years. LAURA STEPHENSON covers The Replacements' "Alex Chilton." 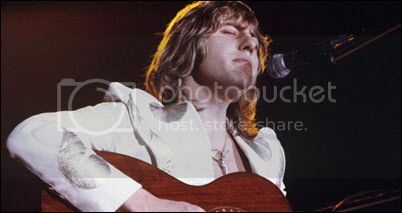 GREG LAKE, a singer and multi-instrumentalist who helped propel prog rock into the mainstream as a member of Emerson, Lake and Palmer and King Crimson, died Tuesday after "a long and stubborn battle with cancer." He was 69. You youngsters out there may know him best as the singer of ELP's "Lucky Man," but given the season, I note his solo hit "I Believe in Father Christmas," which (iirc) got to No.2 in the UK behind Queen's "Bohemian Rhapsody." He also wrote The Guardian to answer the question of whether he could live off the royalties from that tune. MICK JAGGER has become a father for the eighth time at age 73. THE MOUNTAIN GOATS' John Darnielle shared his top albums of the year with BrooklynVegan. THE TOP 10 (or 20) ROCK & POP LPs of 2016, according to Exclaim. 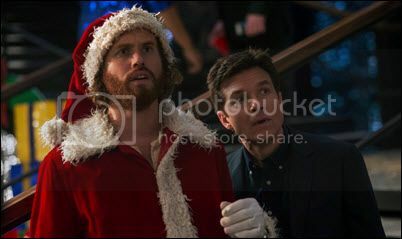 NOW SHOWING: This weekend's new wide release is Office Christmas Party, which is currently scoring 46 percent on the ol' Tomatometer. Two others exapnd wide this weekend: Miss Sloane, currently scoring 62 percent; and Nocturnal Animals, scoring 73 percent. The Bounce Back hits about 600 screens, and has not been screened for critics. JOHN GLENN, the first American to orbit Earth, and a national political figure for 24 years in the Senate, died on Thursday in Columbus, Ohio. He was 95. KANYE WEST is writing again and denying divorce rumors. PIPPA MIDDLETON, who's engaged to hedge fund manager James Matthews, has set a wedding date. GAME OF THRONES star Maisie Williams is the latest celebrity target of social media gone wrong. LITTLE SHOP OF HORRORS is getting a remake. TINA FEY, interviewed by David Letterman. ZACH SNYDER mashed up his Batman v Superman with Star Wars, made public in honor of the imminent Rogue One. SPIDER-MAN: HOMECOMING has a trailer online. BAYWATCH has a trailer online. BRITAIN faces an “unprecedented” terror threat as long as civil war continues to rage in Syria, the U.K.’s foreign intelligence boss said Thursday. STANLEY THE DOG knows his football. A DINOSAUR TAIL has been found entombed in amber. Have we not learned this ends badly? CAMELS are getting license plates in Iran. 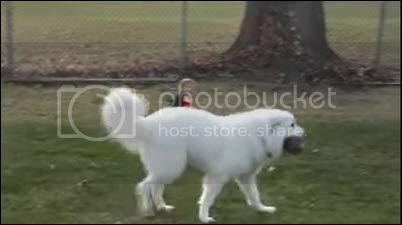 DOG vs WILD STALLION: Who You Got? 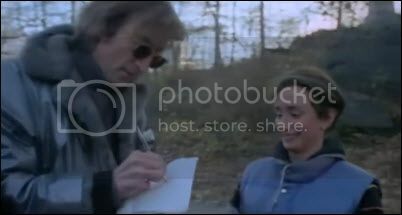 JOHN LENNON: "(Just Like) Starting Over." I remember when Howard Cosell delivered the bad news on Monday Night Football. JAMES VINCENT McMORROW stopped by Morning Becomes Eclectic for a session. PAVO PAVO, with influences ranging from Brian Wilson and Beach House to Monteverdi,plays WNYC Soundcheck. WORLD CAFE highlights the Grammy nominees that have played on the show. THE RAMONES: "Merry Christmas (I Don't Wanna Fight Tonight)." RYAN ADAMS was interviewed by, and played a song written for, internet-famous cat Lil Bub. SLEIGH BELLS: Alexis Krauss and Derek Miller are profiled by Drowned In Sound. THE BEST SOUTHERN RECORDS of 2016, according to Bitter Southerner. BRANGELEXIT: Brad Pitt's effort to seal his and Angelina Jolie's custody battle from the public was rejected by a judge Wednesday morning. KIM KARDASHIAN & KANYE WEST: Marital strain and possible divorce are the latest rumors. THE KARDASHIAN SISTERS are going to war to block Blac Chyna from cashing in on the family name. RUSSELL CROWE will not be charged for bear-hugging Azealia Banks and removing her from his Beverly Hills Hotel suite. SCARLETT JOHANSSON talks to the New York Times about how women’s roles in real life are changing their roles in film. MINKA KELLY is dating Josh Radnor (How I Met Your Mother). JOHNNY DEPP repeats as Hollywood's Most Overpaid Actor, according to the latest Forbes list. STEVEN YEUN is expecting a baby with his wife, Joana Pak, in case you were wondering why they got hitched after all these years. SPIDER-MAN: HOMECOMING has a teaser trailer online. A full trailer premieres tonight on Kimmel. FIFTY SHADES DARKER has a second trailer online. 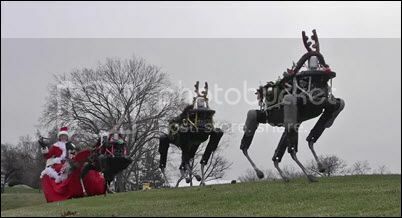 ROBOT REINDEER are taking Rudolph's job. A MASSIVE HUNTSMAN SPIDER eats a lizard. A THERAPY PIG reports for duty at SFO. RACCOONS have overrun the USS Sequoia, the former presidential boat. I blame the squirrels. FRED THOMAS (Saturday Looks Good To Me) shares an appropriately fernetic video for "Voiceover." DRIVE-BY TRUCKERS stopped by World Cafe Live. MEXRISSEY, a Latino Morrissey cover band stopped by World Cafe for a chat and mini-set. ALL SONGS CONSIDERED: The Year In Music 2016. 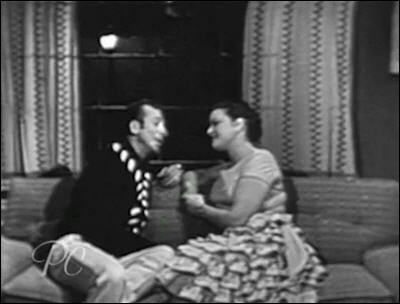 PATSY CLINE & FERLIN HUSKY: "Let It Snow!" REDD KROSS: Steven McDonald ranks the band's albums for Noisey. He's wrong about Third Eye, btw. THE TOP 10 NEIL YOUNG SONGS, according to Consequence of Sound. MP3s affect music's emotional impact? THE GUMMY AWARDS voting is open. BRANGELEXIT: Brad Pitt and Angelina Jolie's custody agreement has been approved by a judge. Is her endgame London? PRINCE HARRY made a major detour from the Caribbean to see girlfriend Meghan Markle in Canada. NAOMI JUDD reveals she suffered in the grip of a deep depression and was suffering panic attacks despite heavy medication, multiple therapies and two stays in psychiatric wards. FLORENCE HENDERSON's death certificate reveals a history of heart disease. THE CIRCLE, ft Tom Hanks and Emma Watson, has a trailer online. PETER VAUGHAN, best known for roles in Game of Thrones and Straw Dogs, has died at the age of 93. DECEMBER 7, 1941: A "date which will live in infamy." I'll be watching Tora! Tora! Tora! this weekend. BTW, the first nation invaded by the US after entering WWII was Morocco, then Algeria, iirc. War is strange. IRAN has shipped 11 tons of heavy water abroad to bring its stock back under a limit set by its landmark nuclear deal with major powers, according to a diplomat citing a confidential U.N. nuclear watchdog report. 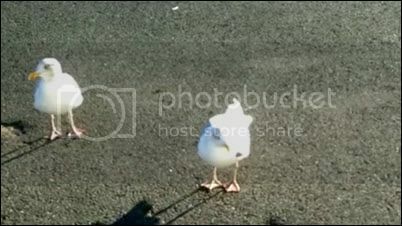 A SEAGULL, trained to tap dance. A PARROT wearing goggles and flying through lasers is allowing scientists to trace the patterns its wings make. A ROCK-LOVING ORANGUTAN went ape on the observation windows of her St. Louis zoo enclosure, forcing nearly 200K in repairs and the temporary closure of the exhibit. THE SQUIRREL THREAT: A militant rodent is stealing Christmas in Seattle.